Great chance to buy 2.4 acres to build your dream home, within quaint neighborhood in beautiful Hampstead. Unique and serene, this property, located just off Sloop Point, offers unobstructed views of the ICWW. 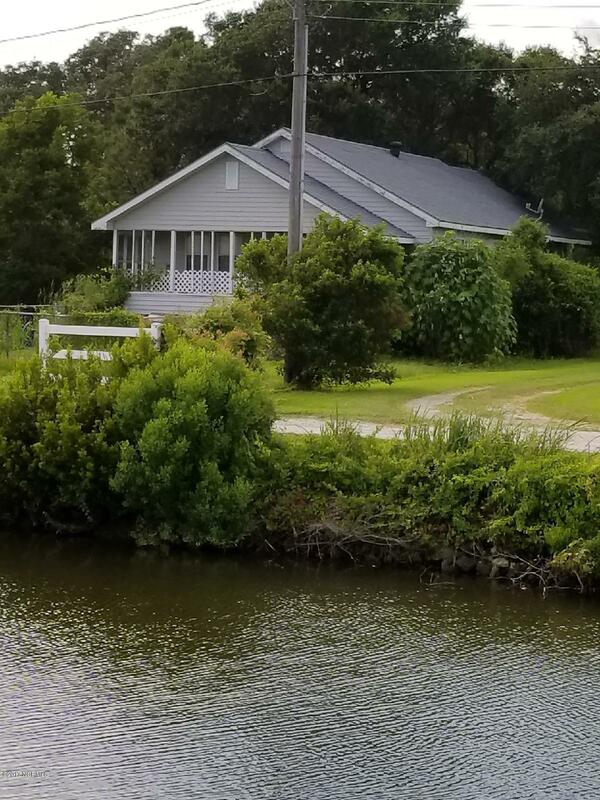 With deeded water rights and fabulous views, you will feel like you're on a year 'round vacation. This property is tucked away, yet only a short distance to all the conveniences your heart could desire...coffee shop, grocery, restaurants, and more! Do not miss this rare opportunity to own your little slice of paradise! Close to the Topsail beaches and schools, a short drive to Wilmington. Remarks: Property has 2 small homes on it (1940's bungalow and doublewide) that are of no real value. 2 separate septic systems in place. Listing provided courtesy of Missy J Surratt of Re/Max Essential.